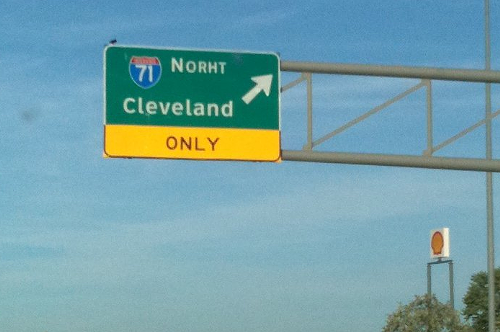 Pic of the Day: 71 "NORHT"
ODOT had some explaining to do after this sign on Route 82 in Strongsville went up. I-71 "NORHT"? Multiple reports today say that the contractor was the one at fault for the misspelling, and until ODOT gets a corrected sign, they've simply covered up the mistake with a temporary, correctly spelled fix.